Put Ratio Spreads or Short Ratio Put Spreads are a Ratio Spread strategy created by selling more put Options than are bought. Normally the ratio is 2:1 (two Short for one Long) but other ratios can be used. Put Ratio Spread strategies are limited profit and unlimited risk because they are net Short (i.e. more Options sold than bought). Put ratio Spreads are considered less risky than naked Short puts and Short straddles because the Long option helps to reduce losses. Put Ratio Spread strategies are Bullish because the sold puts become cheaper to buy back as the price rises, however, they are less directional than selling naked puts. If the price moves higher, the upper side is protected. 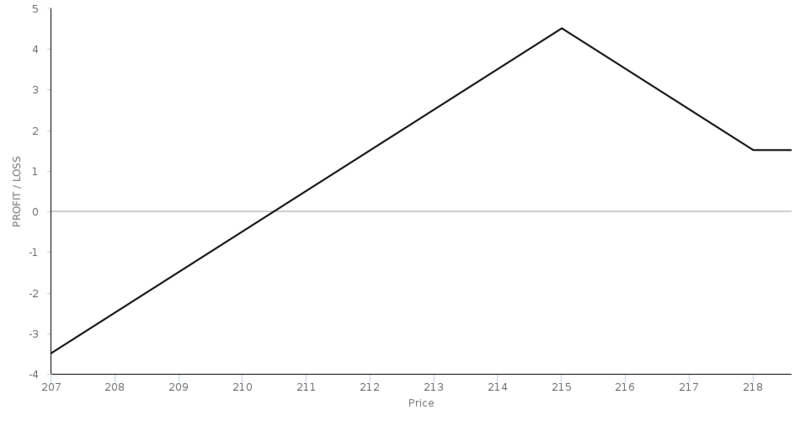 Put Ratio Spreads have similar characteristics to Broken Wing Butterfly Options strategies, except they are risk undefined (and able to achieve higher profits as a result). As with many Short Options strategies, they are Volatility Bearish and are more likely to profit if Volatility contracts after the position is opened. Long Put Ratio Spreads (sometimes called back Spreads) are the inverse of Short Ratio Put Spreads and use ratios where there are more Long Options purchased than there are Short ones sold. Video to accompany the article of the same name by Gavin McMaster. This is a useful explanation of put ratios that includes some tips on when and how to use them to best effect. OIC article describing Short Put Ratio Spreads. ThinkOrSwim guide to ratio spreads and back spreads. OptionsGuide.com article about Put Ratio Spreads. Trader Kingdom article about planning and implementing short put ratio spreads. Nissim Levi describes Put Ratio Spreads. TastyTrade video on Put Ratio Spreads. Educational video describing ratio spreads. TastyTrade.com video describing butterfly and ratio spreads strategies including how to choose which is more appropriate.